Rinse and cut the brussel Sprouts in halves. Place in a bowl and drizzle olive oil, turmeric, himalayan salt, and pepper. 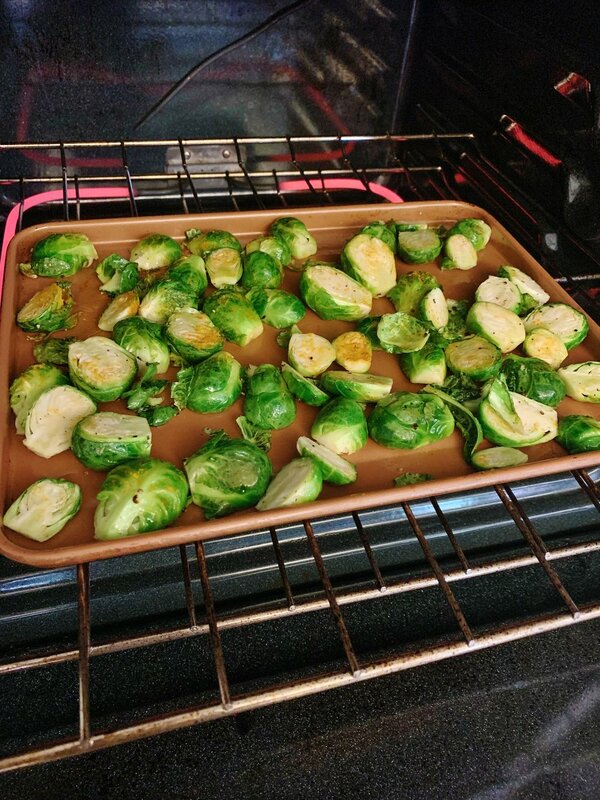 Turn on oven to 375F and place brussel sprouts on a baking sheet. Bake brussel sprouts for about 35-45 minutes. For the creamy cashew sauce, grab a pot and pour the cashews in. Put 2 cups of water in the pot and let the cashews boil until soft. Once soft, add cashews, lemon juice, garlic, water, himalayan salt and pepper to taste in a blender and blend until you get a smooth creamy consistency. When the brussel Sprouts are done, place in a bowl. Add maple syrup and sriracha in another bowl and mix. Add sriracha and maple mixture on top of the baked brussel sprouts and mix. Drizzle creamy garlic cashew cream on top. & eat up! Warning: will satisfy for belly and you’ll want more!